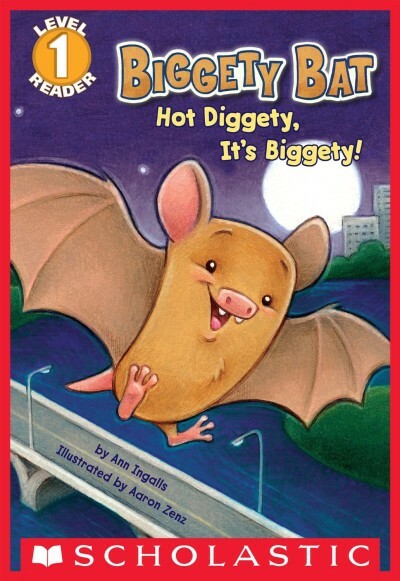 Biggety Bat: Hot Diggety, It's Biggety! Help Biggety Bat find a friend! a bat named Biggety left his nest. Biggety Bat is looking for a new friend. Who will it be? The snowy egret scooping up fish? The mama possum bearing babies on her back? The mockingbird singing so sweet? Ann Ingalls blends lyrical text with information about a real-life urban bat colony in Austin, Texas. Readers will love discovering this unique habitat as they help Biggity Bat find a new friend.